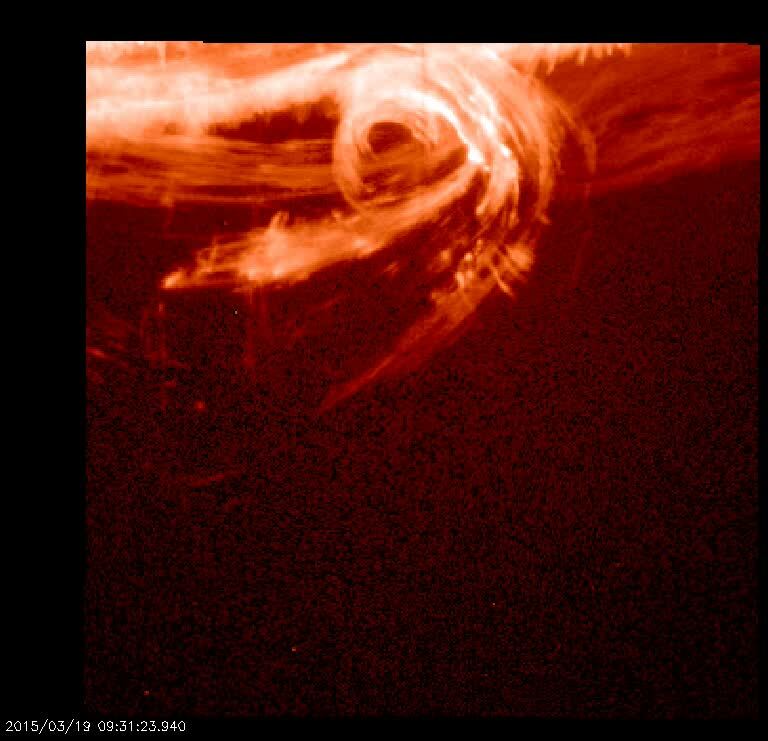 At least once a week a movie of the Sun taken by NASA's Interface Region Imaging Spectrograph (IRIS) is posted by one of the scientists operating the instrument. Your browser doesn't support this embedded video. High above the surface, hot charged material is suspended in the Sun's atmosphere. This material constantly swirls around as the effects of gravity pull it down and the strong magnetic fields keep it suspended. These magnetic forces eventually build to a point that causes a flare towards the end of this movie, resulting in a sudden bright flash of the loop-like structures.